The National social security fund (NSSF) has launched SMS services which will enable its members to access their contributions balances on their mobile phones and their detailed statements online from the Fund’s website. NSSF management announced today that the move is intended to improve service delivery to the Fund members across the country. 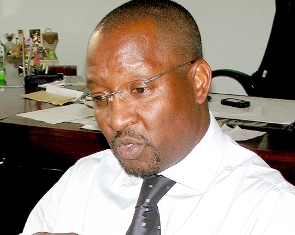 The Managing Director NSSSF Richard Byarugaba says that that NSSF members will SMS THE word NSSF to 6773 and after which they will receive a personal identification number (PIN). Byarugaba says the fund has also set up a call centre with a toll free line 0800286773 for the members while are inquiring for anything from the NSSF. He said that with the launched services, the NSSF members will save time and money which they would have spent going to the NSSF offices to get their NSSF statements. Byarugaba says the new initiative will save the NSSF about 50 million shillings spent to give members their saving statements. One Response to "NSSF members to access their statements through sms and toll free line"
thank you(NSSF)-for all yo services to me.